wow masha'Allah what a gorgeous outfit! The top is so nice. she's got both style and modest dressing. Asian hijabis got style!!! All of their outfits are loose but gorgeous and the way they wrap their hijabs (or tudung i think?) is fresh! So modest and FABULOUS colors!! What a lovely formal outfit! 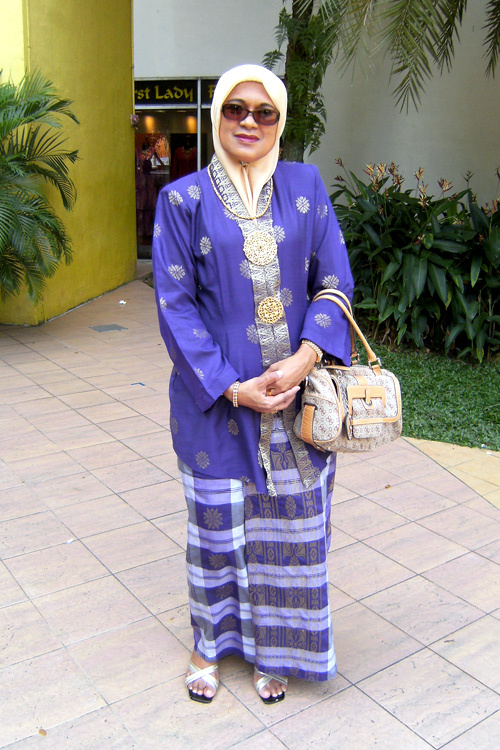 That's sarong style with an indigenous outfit. The skirt is also used in Indonesian and Malay-Filipino martial arts. Those are also often Muslim and they are quite talented and those skirts are perfect for light unrestricted movements. My wife wishes to request her son to bring several outfits of that type back from Kuala Lumpur. Can they be bought off the rack? Pls advise.